Monrovia City Manager Oliver Chi announced yesterday (May 18, 2017) that plans are underway with the Oak Crest Institute of Science to develop a full-scale Summer Science Program for high school students from Monrovia Unified School District, with pilot-scale programs starting in the coming weeks. Preliminary details of the program, scheduled to begin in Summer 2018, were published in The Foothill Advocate. 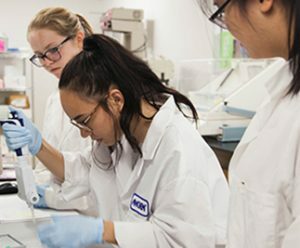 Development of this program is the result of the partnership between the City and Oak Crest to organically grow the number of science-based businesses, research labs, and science educational initiatives in the City: developing the local science ecosystem and hub for world-class scientific research. Click here to find out more about the Summer Science Program. And, be sure to subscribe to the Oak Crest Newsletter for updates on educational opportunities for youth and cutting-edge research being conducted by Oak Crest.